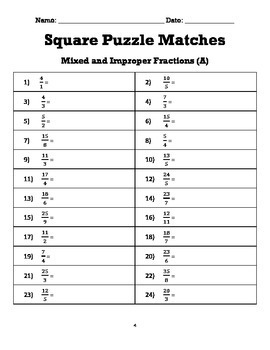 Students are challenged to match improper fractions to mixed numbers in these two square puzzles. They make a great center activity! 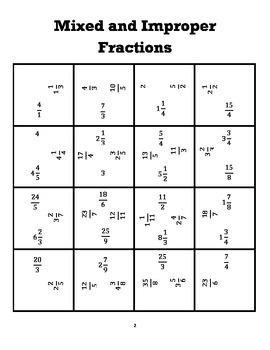 Simply cut the squares apart and place at a center for your students or give them a scrambled page for them to cut out themselves. 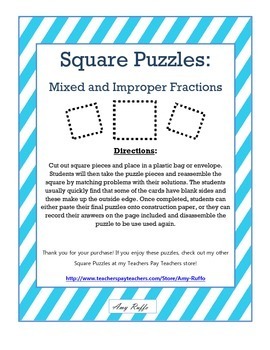 Laminate the puzzle pieces for repeat use or allow the students to glue their completed puzzles onto construction paper. Optional recording sheets for answers are included. 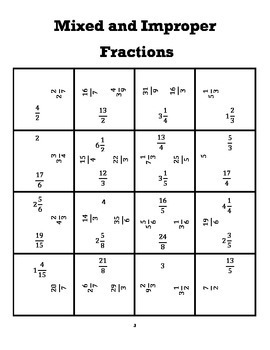 ****Updated 10/19/14 with larger font, scrambled pages, and recording sheets.